Lon H. Grover is a poet, humorist, space enthusiast, and now author. He resides in Kalamazoo, Michigan with his lovely and artistic wife, Lou Ann. Lon spends most of his free time writing. The son of a poet, he has published a collection of poems, both his and those of his father, in: G. R. Grover & Sons Anthology. Publications in the works include two humor selections: What’s In A Name? (How the wrong name can ruin your life) & Words For Dummy and other descriptive phrases (a takeoff on the Title: Word For Dummies), plus, a children’s book: When I’m Grown Up And Older, illustrated by Clara Viktora. 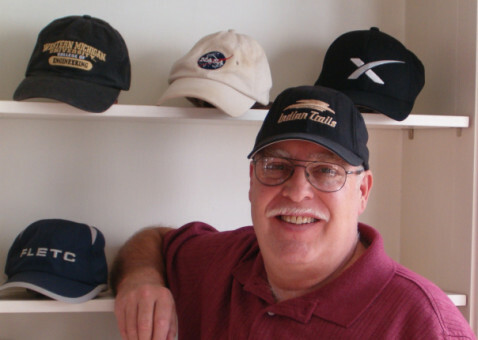 As a space enthusiast, Lon has held memberships in several space advocacy groups and has been an informal student of space technology in general since the early 1980’s. He’s taken some college courses, but never gotten around to obtaining the degree to make him an official ‘Rocket Scientist’. ​Email From Mars: Outbound is Lon’s first novel. The sequel, Email From Mars: Under Martian Law, is underway with several chapters written. Email From Mars: Inbound is being contemplated to complete the trilogy. By the time that one is done, Lon plans to retire from the day job and settle into a new career as a full-time writer.